On World Water Day, conservation is the buzzword. The Internet is flooded with tips on how to conserve water and the need to focus on water as a scarce resource. 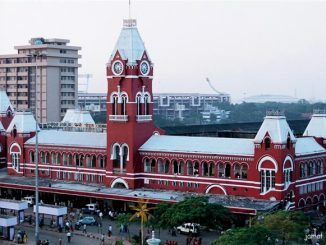 Many resident welfare associations in Chennai are organising awareness sessions to educate people about water economics. But, ironically perhaps, World Water Day this year has come just a day after Holi, exposing the huge gaps in awareness and responsibility among many sections of the people, still. Just a day ago, the city celebrated Holi in a grand manner, but wasted gallons of water in the process, creating artificial rain. “The demand for water was up on Holi: 20 per cent more than usual. We sourced water from the agricultural wells of Kancheepuram and Tiruvallur to meet the demand,” said P Saravanan of the Private Water Tankers Association. 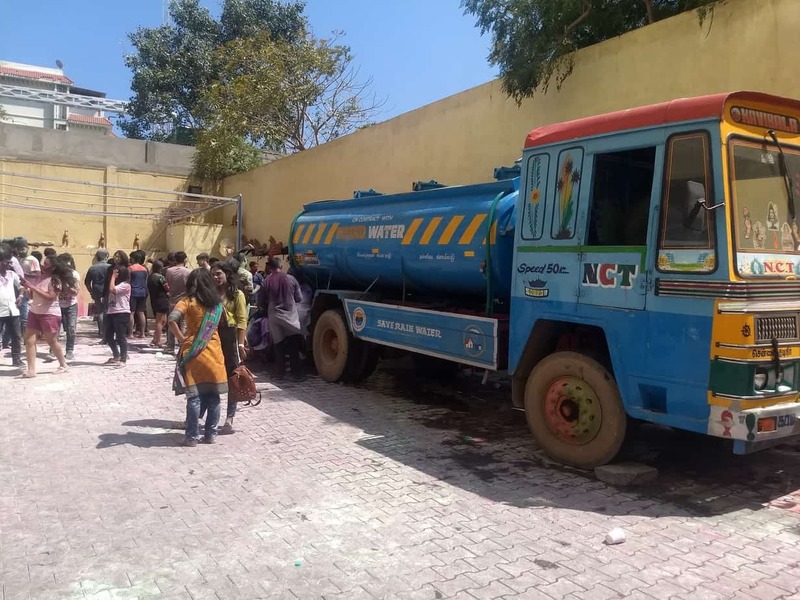 Even at a time when the severe water crunch in the city and the alarming depletion of groundwater resources have received so much attention, organisers of such Holi events appeared to be blissfully unaware of the larger impact that it would have on the city. 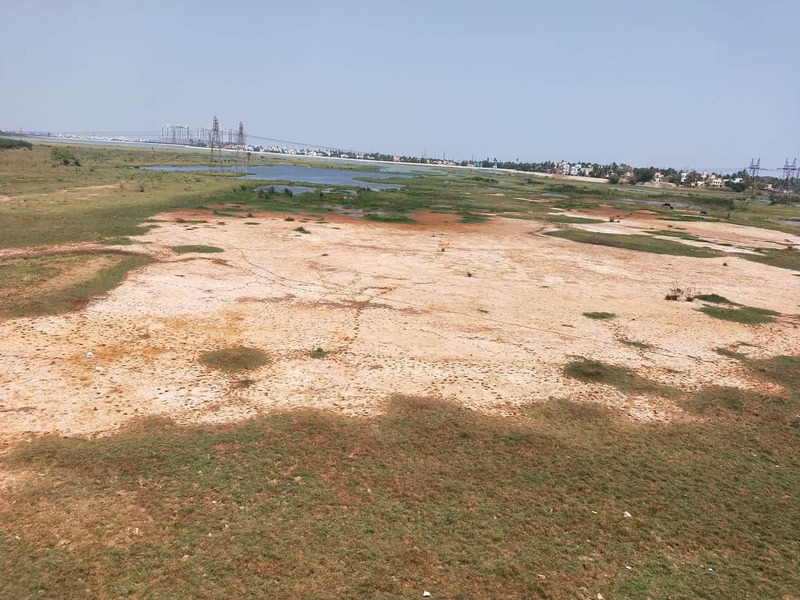 The combined storage in Chennai’s four water reservoirs: Chembarambakkam, Poondi, Red Hills and Cholavaram — records 833mcft on World Water Day. The levels are six times lower than the storage recorded on the same day, last year! 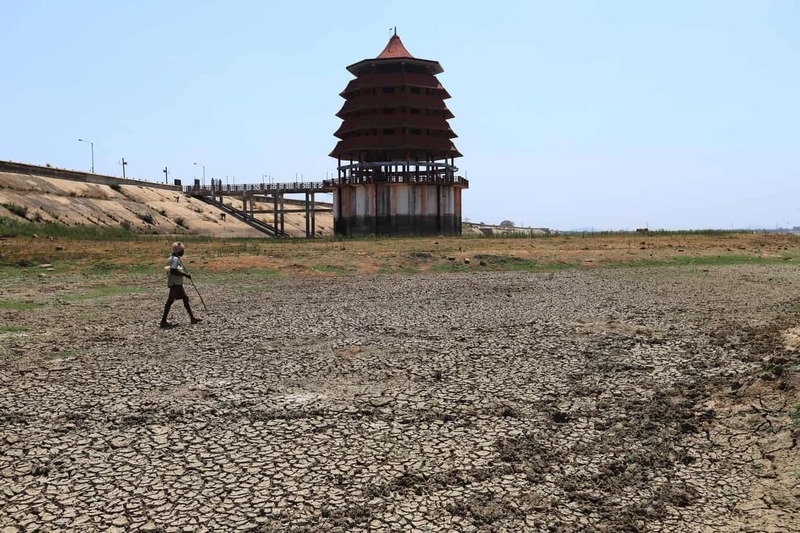 Chennai is also among the 24 districts in Tamil Nadu, that have been declared as drought hit, due to the poor monsoons in 2018. 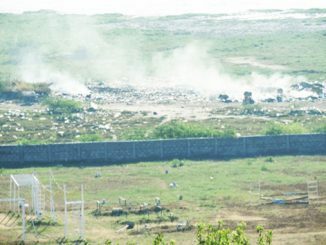 “The dire water situation has not stopped citizens from wasting water. Rain dances were organised in the apartments of Vepery and Sowcarpet. 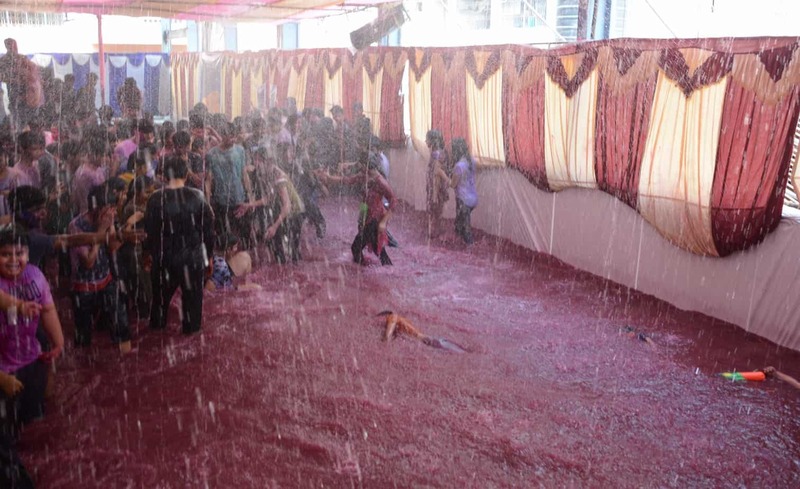 There were no measures taken to recycle the water used in the rain dance,” said Arun Erik, a responsible citizen. Clearly, Chennaiites have lots to introspect on and must assume more responsibility now. Perhaps these photos of Holi celebrations alongside those of our parched water bodies will jolt the city’s conscience and make citizens more proactive in saving water. 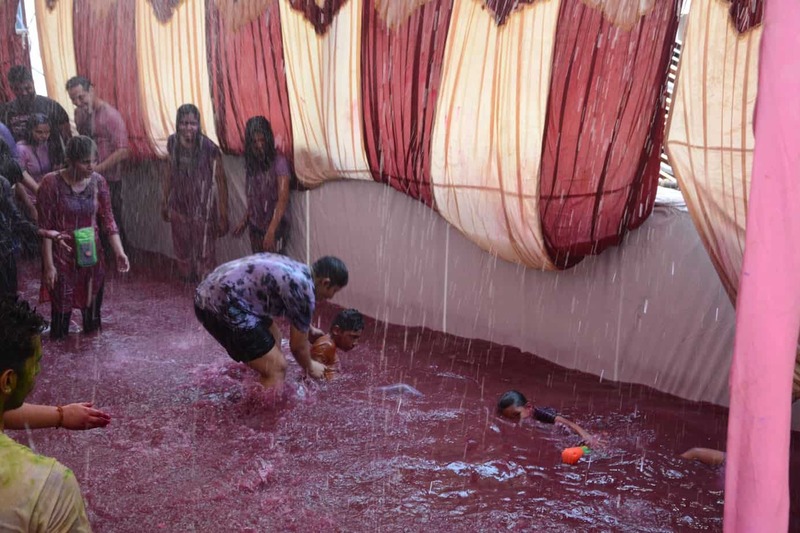 An apartment in Vepery created a water pool, to celebrate Holi. Contaminated with sewage, water at Korattur Lake is unfit for consumption. 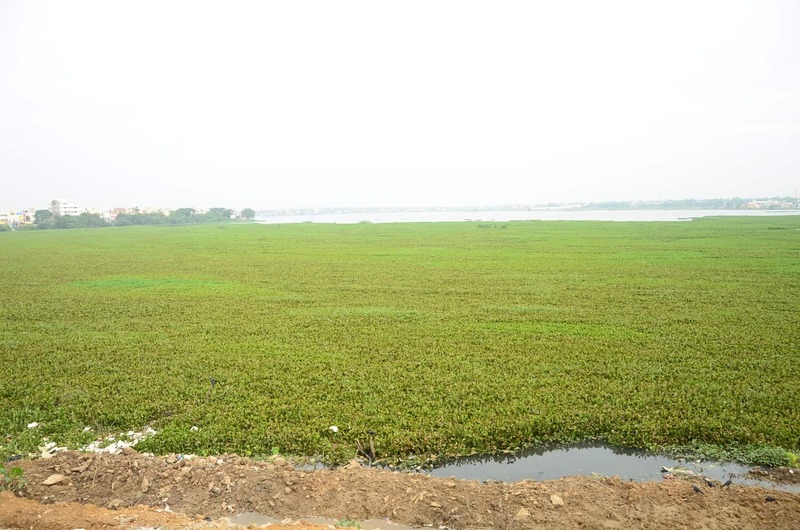 Ambattur Lake is teeming with the water hyacinth. 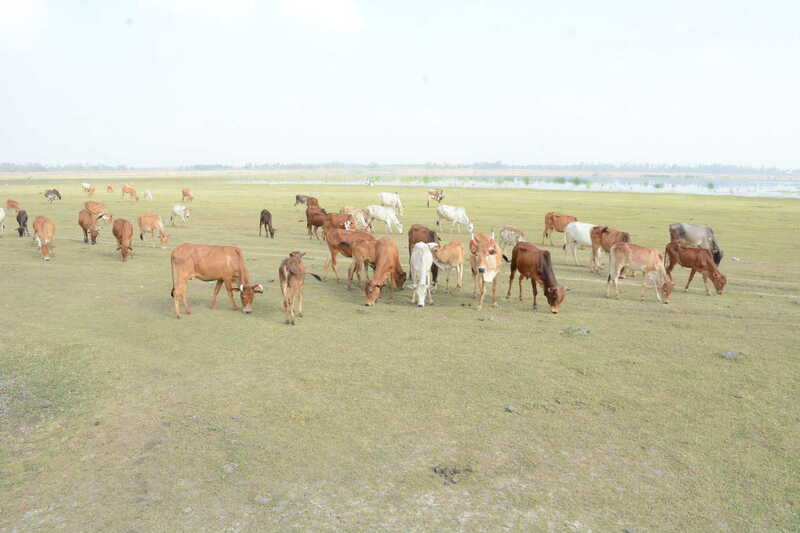 Cattle graze on the arid Sholavaram Lake. 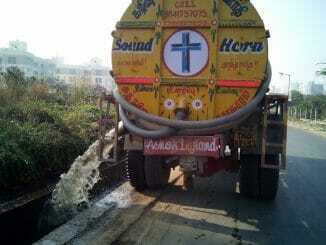 A private water tanker is seen stationed next to the rain dance venue at Westin Hotels, Velachery. Children take a dip in the water pools, to mark Holi celebrations.